Ebola: "This is not the time to rest"
Only a few weeks ago, many MSF Ebola Management Centers (EMCs) in West Africa were reaching their limits. Since then, the number of patients has steadily declined. During the first week of February, 10 new confirmed cases were admitted within the 8 EMCs managed by MSF, including none in Liberia. Question marks remain however about this sudden decline. “Our centres in Guinea were empty in late May last year. All it took to revive the epidemic was a single case," says Claudia Evers, MSF emergency coordinator in Guinea. "It is crucial to actively search for suspected cases, especially in crowded urban areas and the most remote places, before new transmission lines are created." The key is to rapidly trace and monitor those who have been in close contact with infected patients before they too become ill and spread the virus. Locally, community reluctance sometimes remains strong, people are still dying of Ebola outside the healthcare system, some funerals are still conducted in secret, and new cases are detected in areas hitherto spared. MSF’s outreach strategy considers every new case as a full-fledged epidemic and implements simultaneously all the various aspects of the response: local capacity building, active case finding, public awareness, infection control in households and medical facilities, rapid transfer of suspected cases to an Ebola management centre, and epidemiological surveillance. "Fewer Ebola cases and the arrival of additional actors offer the opportunity to identify and tackle new outbreaks earlier," says Maria Teresa Cacciapuoti, MSF head of mission in Liberia. 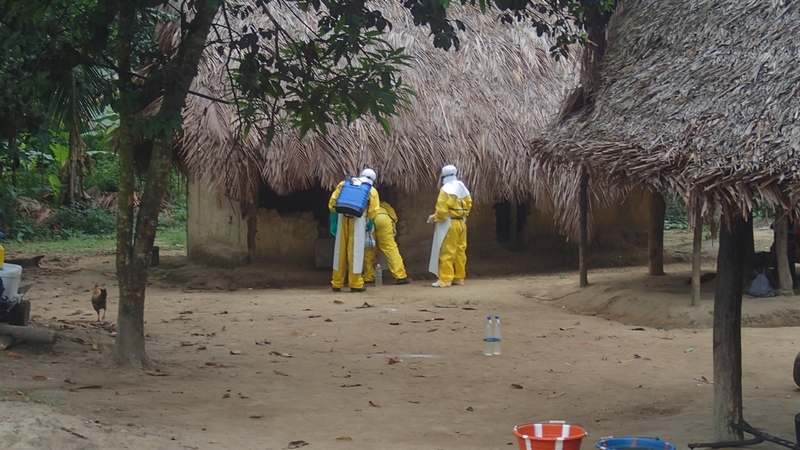 In Guinea, MSF have begun surveying the prefecture of Faranah after having received a number of cases from there at its Ebola centre in Guékédou. Other investigations are ongoing in the prefecture of Kissidougou. In Liberia, MSF rapid response teams have been deployed throughout Grand Cape Mount County after successfully completing a first intervention in Grand Bassa County. In early February, one man returned from Monrovia to Margibi County, developed Ebola and then passed away. Several people that were seriously exposed to the virus by taking care of him have quickly been identified.